The Real Estate Institute of Australia (REIA) has called for a holistic approach to property taxation and a dedicated minister for property services. The REIA has welcomed the recent economic modelling commissioned by the Master Builders Association (MBA) and the Housing Industry Association (HIA) to the understanding of the economic impacts of changes to current arrangements for negative gearing and capital gains tax (CGT) on property. In a media statement, the MBA says their research found that "contrary to Labor’s claims, its policies on negative gearing and CGT will not increase the supply of new housing or create new jobs in the building industry according to new independent economic modelling commissioned by Master Builders Australia." The research was commissioned to test Labor's claims that its policy to restrict negative gearing to investments in new housing and halve the CGT discount to 25 per cent of all properties will increase the supply of new housing and employment in the building industry. But the results of the modelling show that within five years of Labor’s property tax policy being implemented, the construction of new housing would fall in all states and territories and employment would fall over the same period. Pictured: If Labor's property tax were to be implemented, housing construction would fall across Australia. Image via iStock. 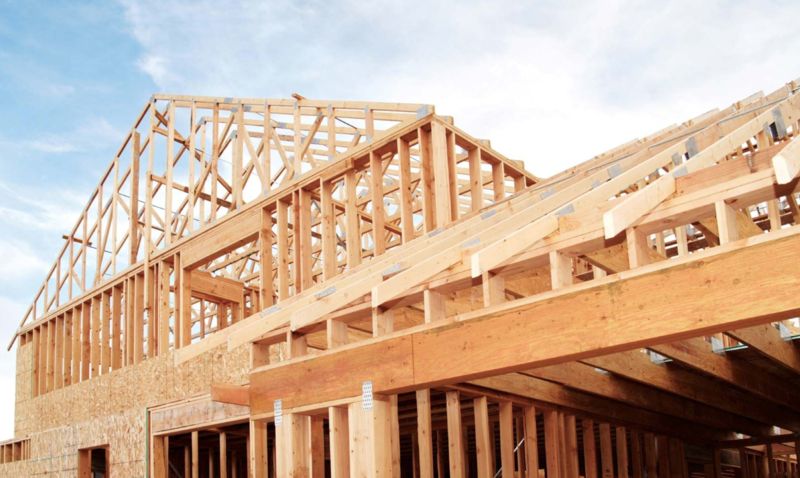 It also showed that up to 42,000 fewer new homes would be built over the five years following the implementation of Labor's policies, which would result in a reduction in the value of residential building activity between $2.8 billion and $11.8 billion. Home renovations would also take a major hit, resulting in a fall in employment of an estimated 7,200 to 32,000 jobs across the country. REIA President, Malcolm Gunning says the commissioned research highlights the significant contribution the property sector makes to growth in the Australian economy. “Australia’s property industry including new home building has been a crucial support to economic growth and increased employment in the transition away from a decade-long reliance on mining,” Mr Gunning said. “Recognising the importance that the property sector plays in the economy, REIA advocates the appointment of a Minister for Property Services,” Mr Gunning said. “The Minister for Property Services can take leadership in addressing housing affordability by coordinating a holistic approach of all levels of government in objectively addressing all property taxes. For example, research shows that abolishing stamp duties and replacing them with land tax not only has a greater impact on affordability than changes to negative gearing and CGT but improves economic growth. “It is only then that a strategy can be formulated that pulls the right levers,” Mr Gunning added. The HIA also found that an increase in CGT would result in a $1 billion reduction in revenue to state Governments, increase the cost of renting, and exacerbate the housing affordability challenge. "With house prices falling and building activity in decline, this is not the appropriate time in the housing cycle to increase CGT," HIA's Principal Economist Tim Reardon told WILLIAMS MEDIA. "We cannot tax our way out of the housing affordability problem." Mr Gunning says the HIA's research shows we cannot just implement quick fixes. “The property sector is one of the largest sectors in the Australian economy in terms of employment, GDP and investment. It is also one of the most heavily taxed sectors with research by HIA showing that the average tax burden on the new housing sector is around 30 per cent of the value. “If we are serious about addressing housing affordability we need to take a holistic approach by looking at all taxes and charges impacting on the final cost of housing. We cannot just tinker with one or two that are ‘easy fixes’ without fully considering the consequences," he told WILLIAMS MEDIA. Mr Gunning said the government needs to be looking at supply-side solutions including streamlining planning processes and reducing extra taxation on homebuyers such as stamp duties. “Improved infrastructure such as public transport to employment hubs which encourage decentralisation to more affordable suburban and regional areas should be considered, Mr Gunning added.